From Santa Rosa’s Press Gazette: AUBURN UNIVERSITY – Pace High School and Seaside Neighborhood School in Santa Rosa Beach received robotics award s at the South’s BEST, or Boosting Engineering, Science and Technology, robotics championship held Dec. 3-4 at Auburn University. Pace High School received the first-place award for Most Robust Robot and the third-place Founders Award for Creative Design. Seaside Neighborhood School received the second-place award for Game Teamwear Design. 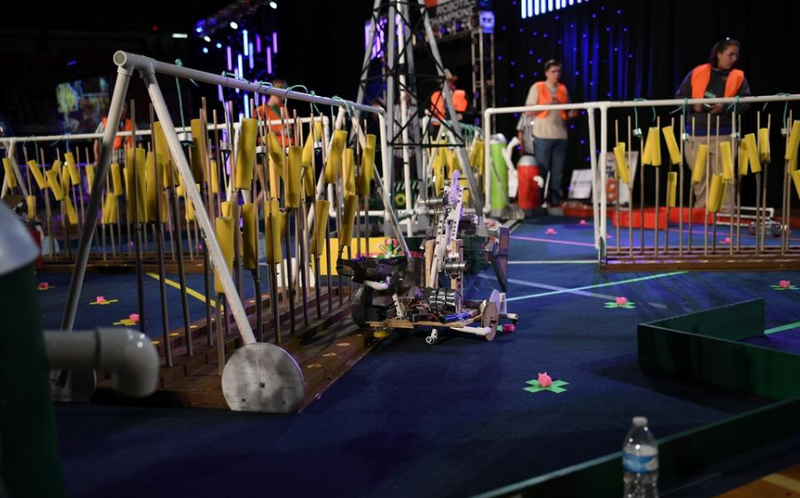 BEST Robotics is a national robotics program for middle and high school students that culminates in one of three regional championships, including South’s BEST. The South’s BEST championship is headquartered at Auburn University and this year featured the top 58 teams from 16 hubs located in five southeastern states. Pace High School and Seaside Neighborhood School are both part of the Emerald Coast BEST Robotics hub, which is headquartered at the University of West Florida. The not-for-profit, all-volunteer program challenges students to design, build and market a robot to use in a six-week-long series of competitions, culminating in the South’s BEST championship, which is hosted by Auburn University’s College of Sciences and Mathematics and the Samuel Ginn College of Engineering. During the championship, teams competed in a series of head-to-head matches on a playing field designed for this year’s game titled, “Bet the Farm.” The challenge was for each team to create a robot that could plant corn seeds, harvest and deliver ripe corn, hydroponic tomatoes and hydroponic lettuce, secure loose pigs and feed them, and turn on a water valve. Teams also competed to receive awards in categories such as engineering design notebook, marketing presentation, team exhibit, interview, and team spirit and sportsmanship. Awards were given based on criteria, such as demonstrated teamwork, a positive attitude and enthusiasm, school and community involvement and creativity.